11th International Symposium on Targeted-Alpha-Therapy, April 1-5, 2019 in Ottawa, Ontario, Canada. isoSolutions is pleased to inform you that we will attend the 11th International Symposium on Targeted-Alpha-Therapy (TAT11). You can find us at booth 28 the Exhibit Hall at the Fairmont Chateau Laurier. Hope to see you in Ottawa, Ontario. Chinese Lunar New Year, Year of the Pig! 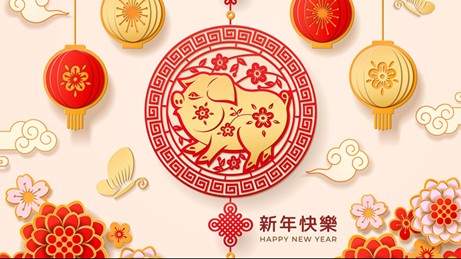 isoSolutions wishes everyone health and prosperity in the Year of the Pig! isoSolutions will be attending the ALASBIMN 2019 Annual Meeting to be held in Lima, Peru November 13 to 16, 2019. Marvin Calderon, Regional Sales and Marketing Manager Sales for Latin America hopes to see you there. If you would like to arrange a time and place to meet him, please contact mcalderon@isosolutions.com. isoSolutions will be attending the CANM 2019 Annual Meeting to be held in Québec, QC, Canada February 07 to 09, 2019. Pat Acton, Regional Sales and Marketing Manager Sales for Canada and US hopes to see you there. If you would like to arrange a time and place to meet her, please contact pacton@isosolutions.com. 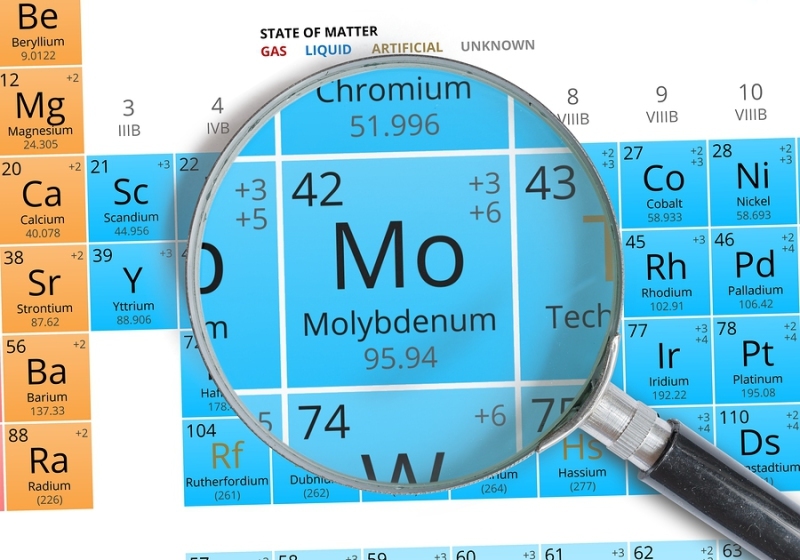 The worldwide supply of molybdenum-99 is expected to stabilize over the next several weeks as the High Flux Reactor in the Netherlands and the Open Pool Australian Lightwater nuclear reactor have resumed operations and are expected to reach normal Mo-99 production this week. Meanwhile, NTP Radioisotopes’ South Africa-based Pelindaba Nuclear Plant, which has finished functionality tests, is awaiting approval from the country’s National Nuclear Regulator to begin Mo-99 production runs. An agreement signed with SpectronRx, an Indiana, USA radiopharmaceutical manufacturer, designates isoSolutions as the exclusive distributor in Latin America and Canada of Spectron’s GMP grade non-carrier added (nca) Lutetium-177 radiochemical. SNMMI 2019 Annual Meeting, June 22-25, 2019 in Anaheim, California. A generous donor has given the B.C. Cancer Foundation $18.346 million, but insists on remaining anonymous. similar patients treated with systemic therapies. Despite the negative studies recently reported, Y-90 radioembolization is a reasonable treatment option in properly selected PVT patients. 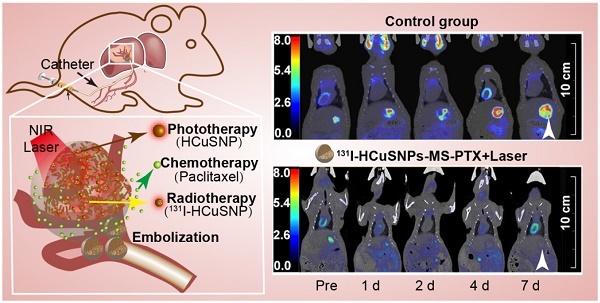 Further controlled studies are needed to compare it with systemic therapies or other locoregional treatments for advanced-stage HCC. 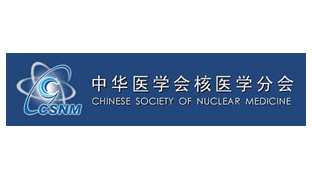 The Chinese Society of Nuclear Medicine Annual Meeting will be held in Chengdu, Sichuan from 2018–07–12 to 2018–07–15. We hope to see you there and we can arrange a time and place to meet if you wish. 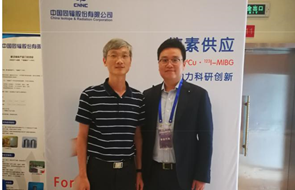 isoSolutions Marketing and Management will send its representative in China, Eric Huang to the 19th China Cardiovascular and Nuclear Medicine Annual meeting organized by Chinese Society of Nuclear Medicine (http://www.csnm.com.cn/) in Sichuan, China. 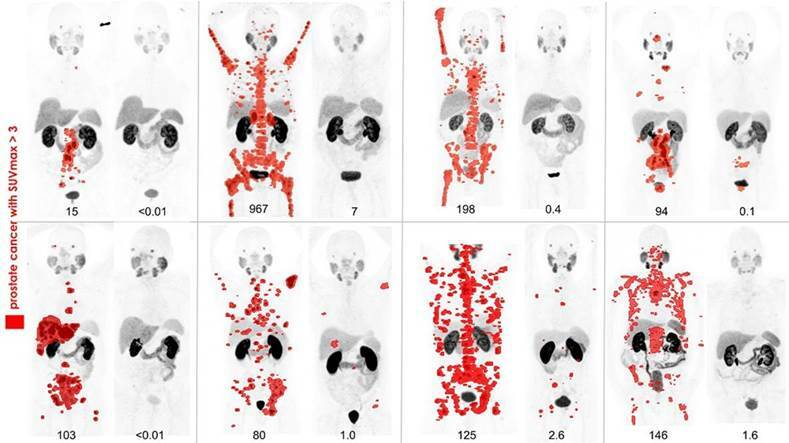 Can nuclear medicine avoid another Mo-99 shortage? By Wayne Forrest, AuntMinnie.com staff writer. 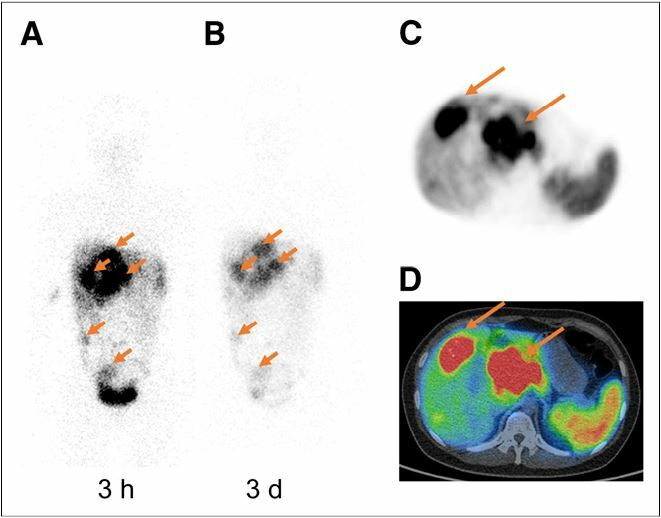 A positive response for surrogate parameters demonstrates remarkable antitumor activity for 225Ac-PSMA-617. 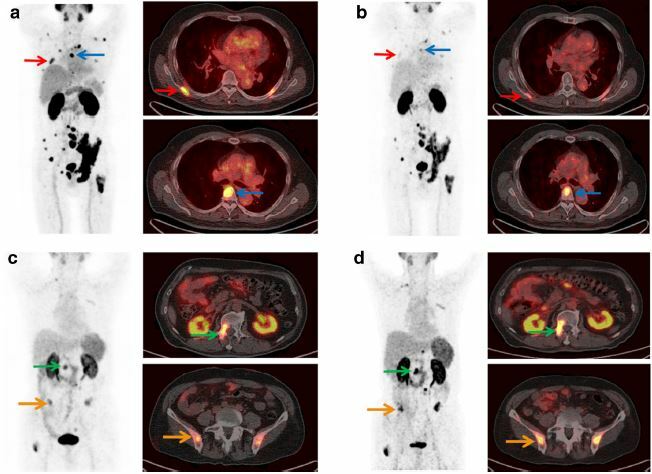 Swimmer-plot analysis indicates a promising duration of tumor control, especially considering the unfavorable prognostic profile of the selected advanced-stage patients. Xerostomia was the main reason patients discontinued therapy or refused additional administrations and was in the same dimension as nonresponse; this finding indicates that further modifications of the treatment regimen with regard to side effects might be necessary to further enhance the therapeutic range. Info on purchasing Ac-225, please contact sales@isosolutions.com . The Armstrong-Lepeska Science Marketing Scholarship, sponsored by isoSolutions, has been awarded to two more students. This scholarship is granted to a student at Langara College in Vancouver. 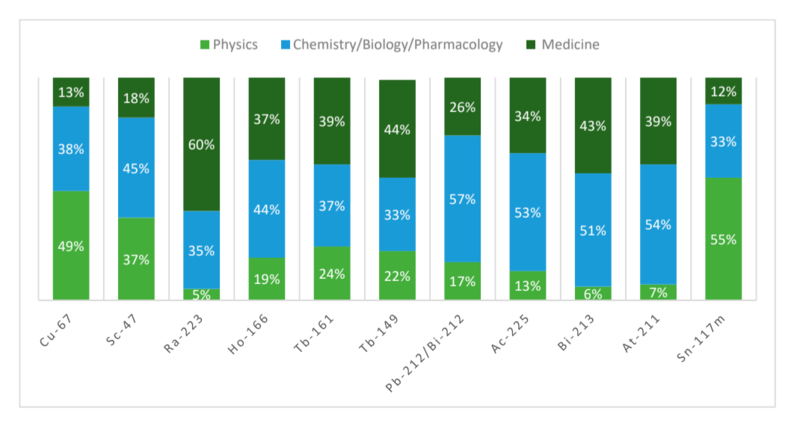 To highlight the importance of marketing and sales of high-technology, scientifically-intensive products, the scholarship awards a student in a scientific discipline who completes a course in Marketing. 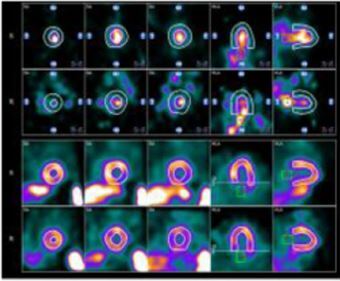 Using PET scans instead of SPECT scans resulted in increased rates of diagnosis of severe obstructive coronary artery disease from 70 percent to 79 percent. 99mTc-sestamibi CZT-SPECT is technically feasible and can provide similar result to 15O-water PET for detecting impaired myocardial flow reserve and abnormal fractional flow reserve in patients with coronary artery disease. This study highlights the diagnostic value of using 99mTc -sestamibi for patients with coronary artery disease. 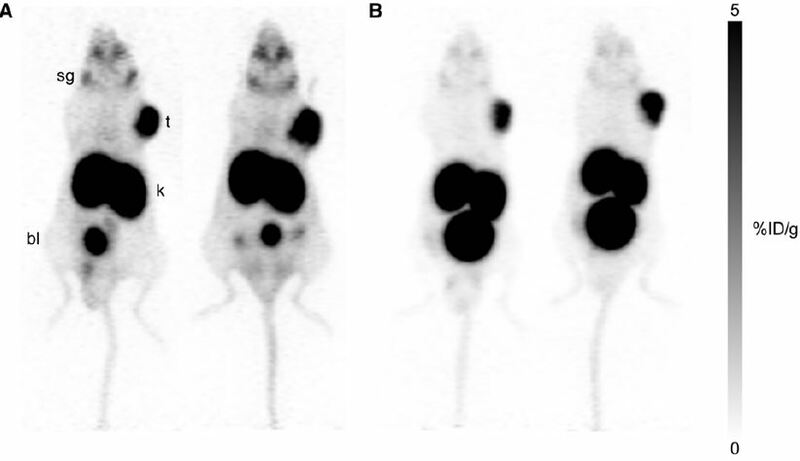 The first Peptide Receptor Radionuclide Therapy (PRRT) has received FDA approval. 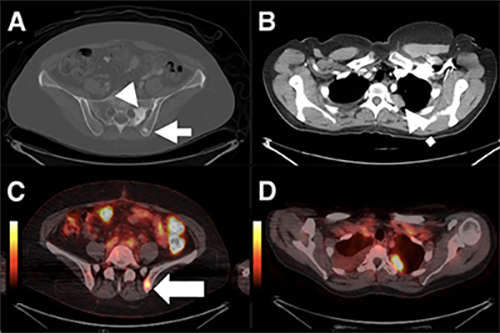 Lutetium 177 DOTA-TATE (Lu 177), a type of PRRT, is now approved for the treatment of somatostatin-receptor-positive gastroenteropancreatic neuroendocrine tumors (GEP-NETs), including foregut, midgut, and hindgut tumors in adults. FDA approval of PRRT using Lu-177 will allow more eligible U.S. patients to receive this “life extending” treatment. Lu-177 is manufactured by Advanced Accelerator Applications (AAA), a Novartis company. 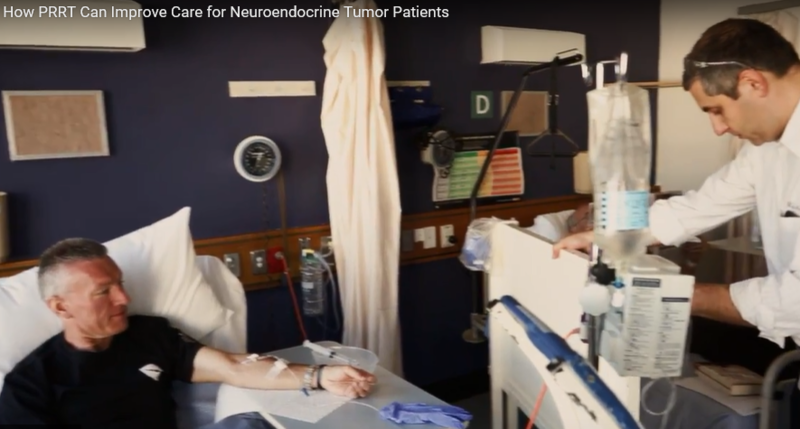 Prior to the FDA approval, PRRT with Lu-177 was only available in a limited number of American treatment centers as part of an expanded access program or through a clinical trial. isoSolutions is pleased to inform you that we will attend the Annual Meeting of the Society of Nuclear Medicine and Molecular Imaging (SNMMI). You can find us at Booth 1001 in the Pennsylvania Convention Center. We hope to see you there and we can arrange a time and place to meet if you wish. We look forward to seeing you in Philadelphia, Pennsylvania. 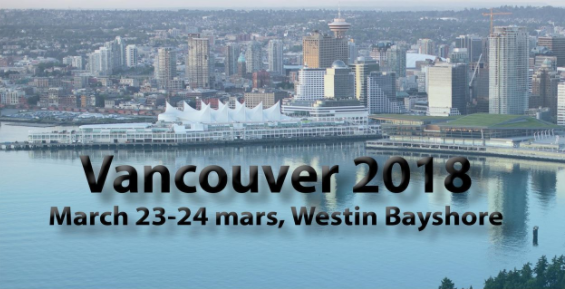 isoSolutions will be present at the Canadian Nuclear Medicine Annual Scientific Meeting in Vancouver, BC from 2018–03–23 to 2018–03–24. isoSolutions begins 2018 Representation of Elysia-raytest Quality Control Instruments in CHINA. 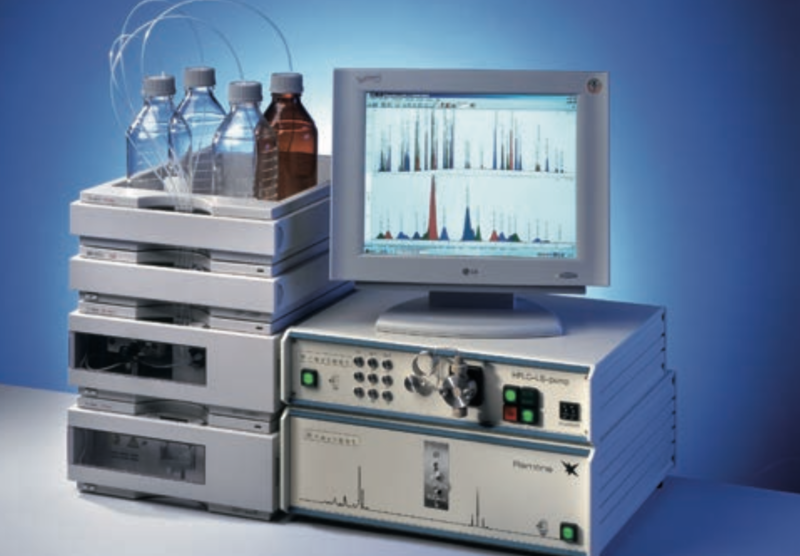 isoSolutions, a global provider to the nuclear medicine, radioisotope research, and pharmaceutical industries, announces the launch of its representation of the Elysia-raytest radiopharmaceutical Quality Control instrumentation in China. 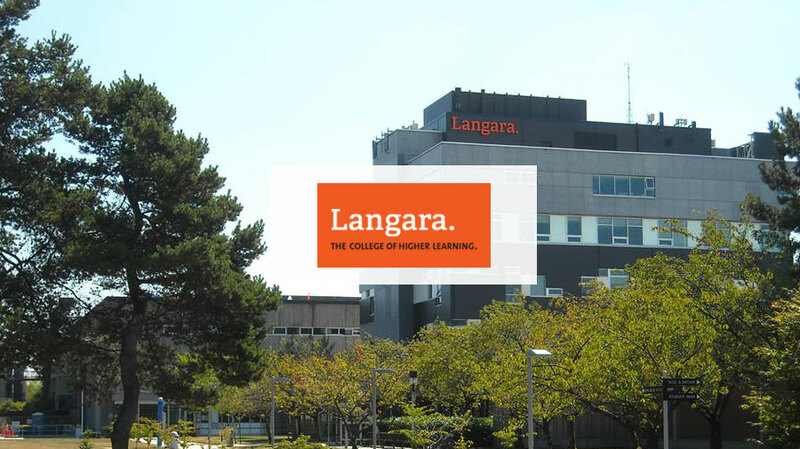 A recipient of the Armstrong-Lepeska Science Marketing Scholarship, sponsored by isoSolutions, was selected by Langara College to address scholarship donors on behalf of students at the Donor Recognition event. isoSolutions is pleased to inform you that we will exhibit at the 2017 Western Region Society of Nuclear Medicine Annual Meeting held at the Westin BayShore in Vancouver, British Columbia from 2017–11–03 to 2017–11–05. We hope to see you there and we can arrange a time and place to meet if you wish. isoSolutions is pleased to inform you that our Japanese marketing assistant will attend the The 12thAsia Oceania Congress of Nuclear Medicine and Biology on October 5-7 in Yokohama, Japan. 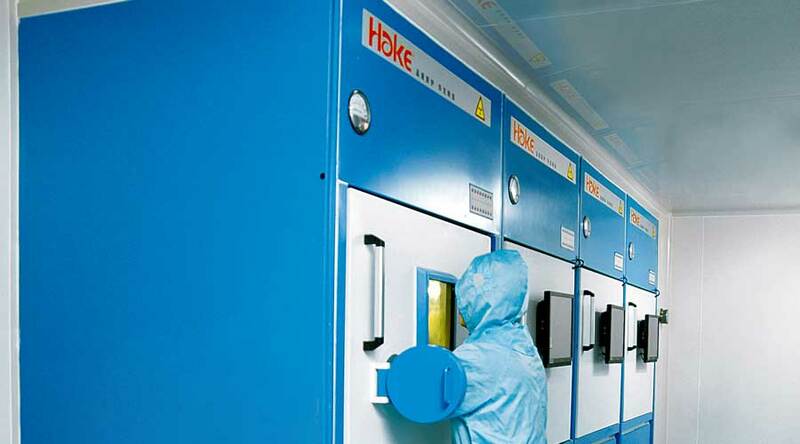 isoSolutions announces the launch of its representation of the Hake Medical Hot Cell, Fume Hood and Shielding Accessories in North and Latin America. In partnership with Hake Medical, isoSolutions is able to provide a complete solution for your radiation protection needs. isoSolutions is pleased to inform you that we will attend the Annual Meeting of the Society of Nuclear Medicine and Molecular Imaging (SNMMI). You can find us at Booth 931 in the Colorado Convention Center. We hope to see you there and we can arrange a time and place to meet if you wish. We look forward to seeing you in Denver, Colorado. The Chinese Society of Nuclear Medicine Annual Meeting will be held at Zunyi, Guizhou Province from 2017–06–29 to 2017–07–01. isoSolutions will be present at the Canadian Nuclear Medicine Annual Scientific Meeting in Toronto, Ontario from 2017–04–20 to 2017–04–23. The Armstrong-Lepeska Science Marketing Scholarship, sponsored by isoSolutions, has been awarded to two more students. 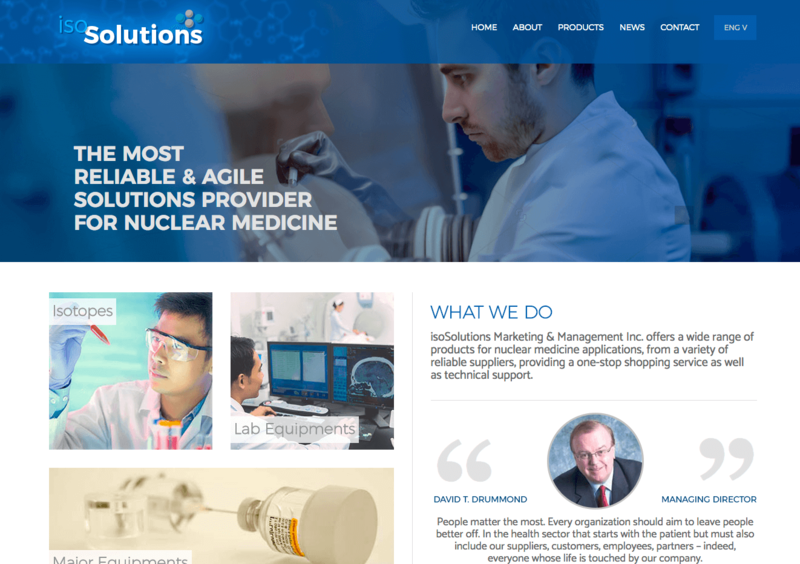 isoSolutions, a global provider to the nuclear medicine, Radioisotope research, and Pharmaceutical industries, announces the launch of its representation of the Elysia-Raytest Radiopharmaceutical quality control instrumentation in north and latin america. isoSolutions, a global provider to the nuclear medicine, radioisotope research, and pharmaceutical industries, and partner Europe-based Elysia-raytest (www.elysia-raytest.com) will jointly market Oxygen-18 water. 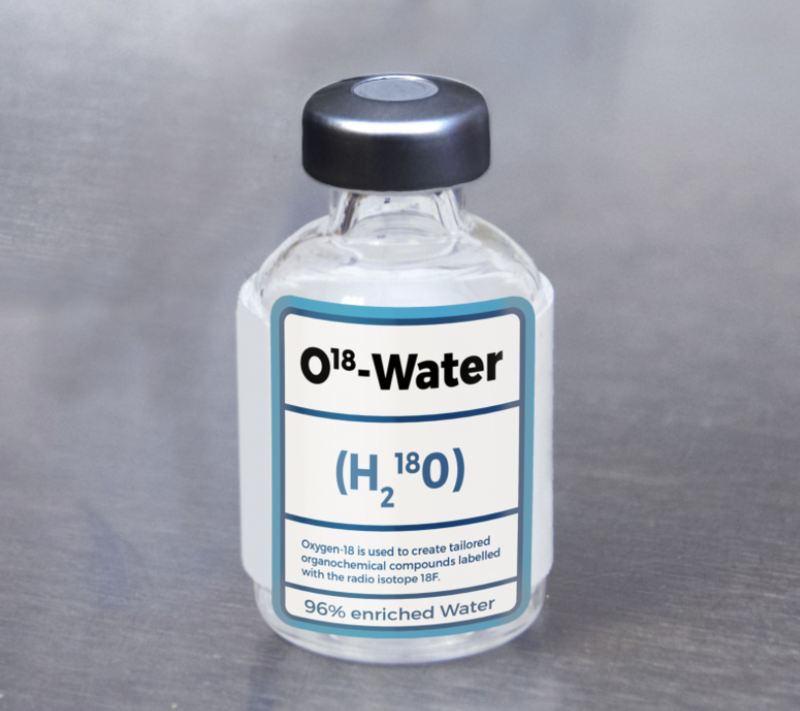 Special reduced pricing conditions are currently available for purchase of the O-18 Water. 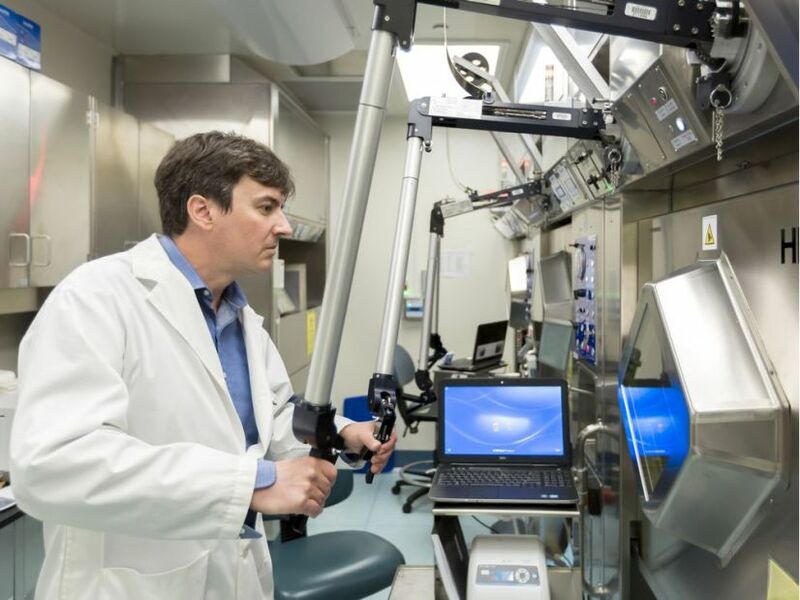 isoSolutions, a global provider to the nuclear medicine, radioisotope research, and pharmaceutical industries, today announced the launch of the Elysia-raytest GAIA Ga-68 Synthesizer in North and Latin America. In partnership with Elysia-raytest, isoSolutions supplies a Ga-68 generator compatible with the GAIA Ga-68 Synthesizer. It is now possible to offer a complete Ga-68 labeling package to all isoSolutions customers in the Americas. Special pricing conditions are currently available for purchase of the GAIA Ga-68 Synthesizer. To reflect additions to our product line and expansion of our business, isoSolutions will install a new, updated web site early in 2017. The new web site will incorporate new features that will be of interest to our visitors and will help our clients and partners to find the information they are seeking. isoSolutions will be present at the Brazilian Nuclear Medicine Congress from 2016–11–12 to 2016–11–14. isoSolutions will be present at the Canadian Nuclear Medicine Annual Scientific Meeting in Halifax, Nova Scotia from 2016–04–21 to 2016–04–24. ln produced on a routine basis at UPENN with the Trasis AllinOne synthesizer.